Hi, this my last work, Wendy. I made this work for pratice my organic modeling, trying to make a nice face. 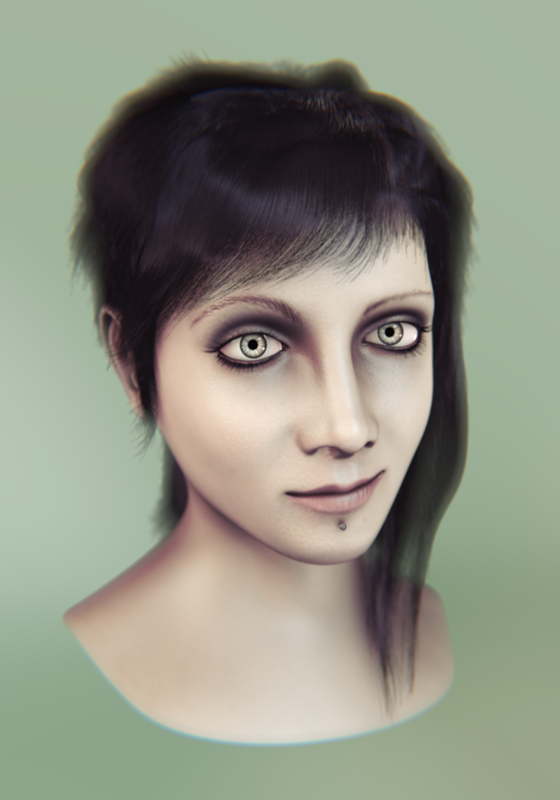 My primary objetive in this job was to learn the hair particle system and make a good hair. I modeled the head in Blender, the textures and maps i made in GIMP, the textures of the head have 2048 px and the eyes have 1024 px. The render and the compositon were made in Blender too, i used Blender internal renderer with ambient occlusion approximate. I hope you like. One more work and i will make a small demoreel, if i have time to do.